In 1998, The String House formed a relationship with a fine workshop in China. Instruments are made according to our specifications regarding dimensions, graduations, varnish and wood quality. Because of their visual beauty and wonderful tonal qualities, these cellos are currently being enjoyed throughout the USA and are the choice of many teachers for individuals in need of a fine student cello. Below is a list and description of models available. The Tartini is the best-selling and highly preferred cello by teachers throughout the country. 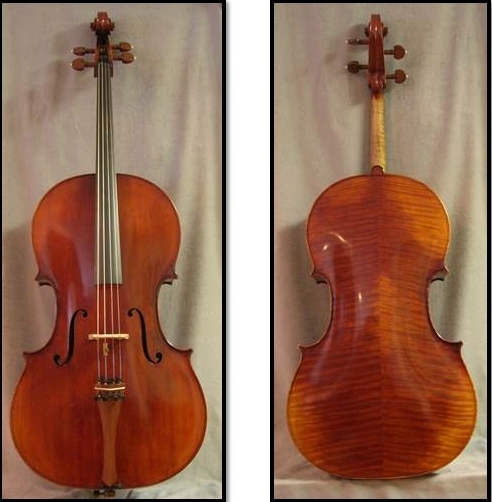 They are beautifully hand carved cellos with only highly select and attractive wood and the tone is very impressive. 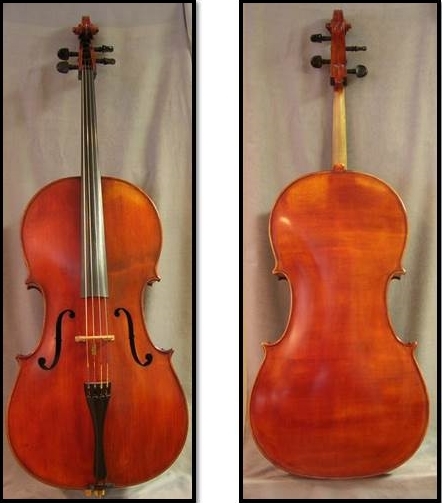 This cello is available in 3 models; Stradivarius, Professional, and Master Art. The DeSanto is the highest level cello we directly import from China. It has the highest flamed maple back and a full projecting responsive tone throughout the cello. We highly recommend the Gottfried Lembock cello. 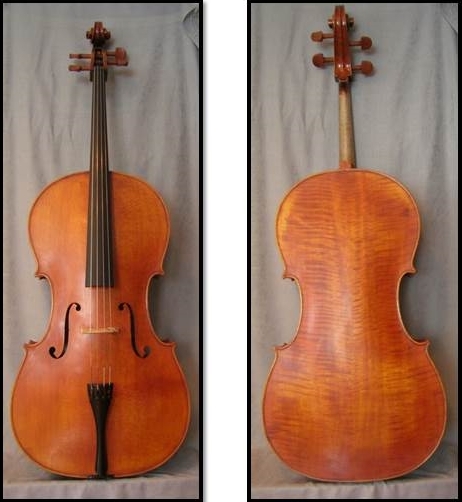 They are outstanding hand crafted cellos made in the antique style from Germany. These cellos are made on a slightly smaller model making them more comfortable for a smaller person. The tone is very responsive and of a warmer color. All with FULL 100% TRADE-IN ALLOWANCE! !